It clarifies that the work of those that, like SPAN, are developing new paradigms in material production through architecture act in a world where the combination of technology and sensibility has yet to be questioned and investigated. As Del Campo himself states, in this field we have just scratched the surface: everything still has to be imagined, discovered and defined. 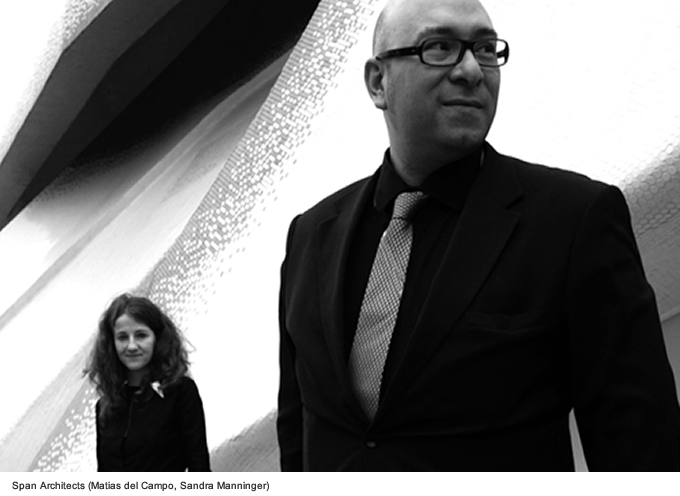 Let’s start from the beginning: conversing with an architect like Del Campo means questioning those that want to represent innovation in spatial terms without merely inventing or following a language. He is instead constructing an epistemological framework from practice and procedures that are based on the newly acquired knowledge that we increasingly dominate through science and technology. The result does not come from a formal effort, but rather as a consequence of a union of evolutionary attempts based on very rigid design procedures. These involve a software approach that goes beyond the tool itself, leaving space for a true ecology of digital thinking: an achievement that dispels techno-enthusiasm and opens the door to something that might really become a certainty in the future. What we can expect is an environment where affection, obsession, opulence and romanticism are the outputs of an advanced system that puts together biological behavior, environmental pressures and rigid procedures of computational design. SPAN Architect‘s research highlights how to go beyond “beautiful data” to discover something that could be defined “voluptuous data”. 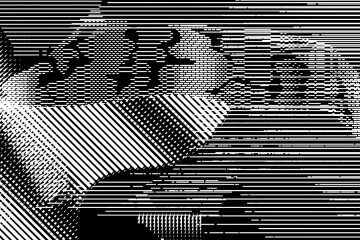 This coagulation of numbers, algorithms, procedures and programs uses the forces of thriving nature and, passing through the calculation of a multi-core processor, knits them with human desire. Sabina Barcucci:Let’s start with a very broad definition that considers design as an answer to a problem. Currently there is a large use of this term that looks fitting to disciplines that only 10 years ago were totally out of the design realm. So, design is now intended as a set of tools and methodologies solving problems for our society in order to enable the society itself to get more complex. This process produces solutions but it rises also new problematics trough an apparently endless virtuous -or vicious- circle. What do you think is the position of architecture in this process? Matias Del Campo: It is true that through a massive indoctrination in the 20th century the term “Design” was a suspicious noun in architecture, and to a certain extent it is still today. However if you strip the term to bare bones it basically describes the specifics of an object which behaves in a unambiguous fashion according to a set of rules defined to fulfill a program. In the case of architecture, design fulfills a crucial role in the behavior of the architectonic body. A manifold of forces shape the design: environmental pressures, program, material restrictions, responsiveness to the location and so on. At the end of the day it is of course also the sensibility of the individual designer which creates the spatial and visual stimulus generated by the architectural design. 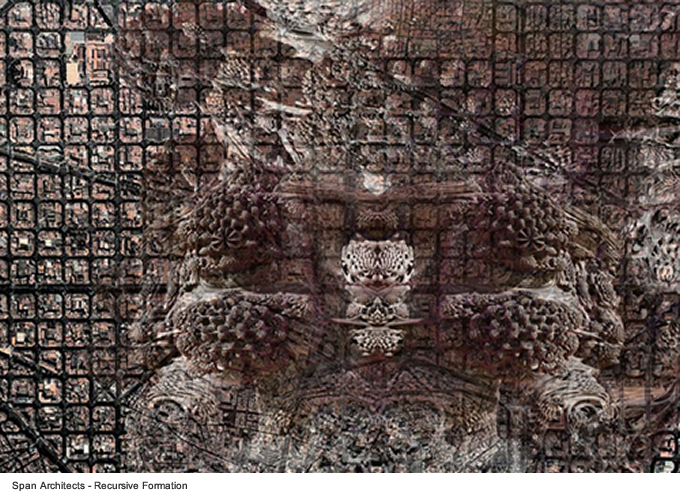 In a broader extent this would mean that any process that can be subdivided into specific routines that allow for an elaborated, intricate network of substantial interlocked relations can be described as design. I´m however not completely sure wither this describes an increased amount of complexity in contemporary society. Au contraire, it is not so much about complexity as such, but about an emergent behavior that follows a simple set of rules that finally create a highly articulated spatial, social, graphical, you name it, condition. Sabina Barcucci: Trough a strong digital approach, SPAN Architects‘ work is characterized by a brilliant formal and technical investigation on complex geometries, morphogenesis, continuous surfaces, responsive environments. These topics and your didactic are related to an important research and about technologically advanced materials and digital fabrication. Looking at the current complexity level of our society, where does the architecture of SPAN want to bring us? And what is the main “problematic” that it wants to solve? Matias Del Campo: One of our main goals is that we do not want to make things more complex, but that we are actually striving for responsive solutions to a set of specific design problems. The kernel of our design intentions follow a very rigorous, predefined procedure to get as close as possible to the design task in order to find a solution that echoes the design intention. The use of computational design techniques has been one of our main characteristics since the inception of our practice, and even before that in our individual work. 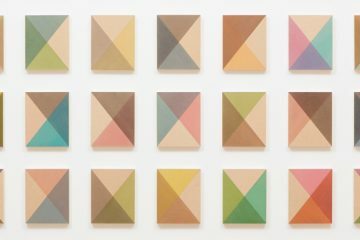 The generative techniques in use in our design process has produced multiplicious results for every design step, resulting in genealogies of projects that sometimes surprise us with efficient, performative or sometimes just beautiful results. Similar to evolution in Nature, where there is no optimization, but just change, and environmental pressures serve as testbed for survival. 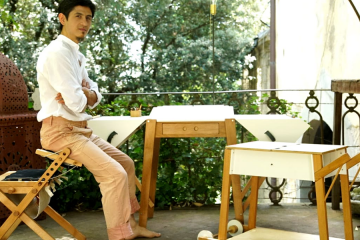 Our obsession for contemporary fabrication technologies as well as a curiosity for innovation in the material world spark ideas about possible opportunities to implement these into the design of our work. We search for opportunities and try to understand how we can implement the observations into the flux of projects in our office. 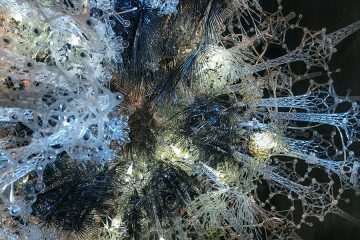 Like a multicore processor we try to tie a variety of threads reaching from ideas on geometry, mathematics, biological behavior, program and material condition to fuse into an architectural definition. All this desires for articulated architectural solutions constitute intensive spatial conditions in a constant flux. In a way they echo a romantic notion in architecture, where intricacy, ornamentation, affect and chromatic effects generate lush, opulent organizations of matter in space. Or maybe it is in fact just our desire for romanticism. Sabina Barcucci: Span is born in a very proactive cultural context. A project of SPAN has been selected for the Expò Shanghai 2010 to represent the innovative regard of the country and then realized. What are the main conditions, institutions and actors that influence the Austrian cultural context and how do they impact on the architectural research related to advanced design? Matias Del Campo: It is true that Vienna has a very proactive cultural context. I like to highlight in my lectures uproad that Vienna was always a big influence on my understanding of architecture at large. Not only in terms of contemporary architecture. I basically just recently became aware of the massive influence the entire historic city texture had on my view towards opulence in architecture. You have it all within reach in this city: Gothic, Baroque, Historims, Jugendstil, 20th century avant-garde. Only the 21st century is missing. 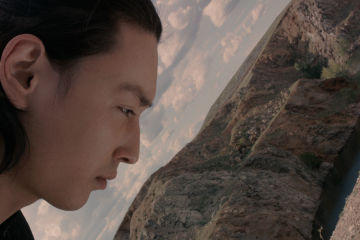 All of this triggers our minds and push us forward in our designs and explorations. This fat soup cooks in our office in the formation of advanced architectural approaches, spiced with the lineage of Viennese architecture. Within the last 15 or so years there has been a major shift in the way how the public domain in Austria evaluates young architects. The trust in young companies increased enormously triggered by such practices like Propeller Z and Delugan Meissl, which ultimately also lead to the decision of the jury for the Expo project to entrust us and our partner Arkan Zeytinoglu with the Expo Pavilion. 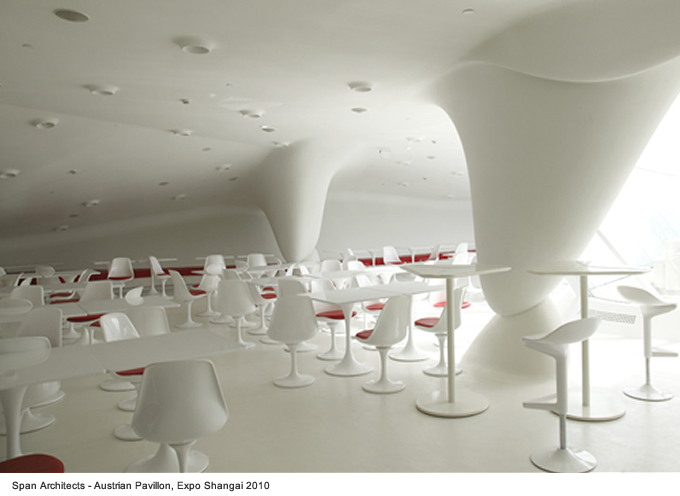 Nonetheless it was a brave decision of the Jury to commission such a young architecture practice with the prestigious job to build the representation of Austria at the Shanghai World Expo 2010. Austrian officials are pretty much aware of the cultural value of art, architecture and design, and that in fact it is an export hit. Sabina Barcucci: I know you are doing a PhD. Would you like to tell us something about your research work? Matias Del Campo: Well, for now I would like to keep the key thesis of the PhD undisclosed, however what I can tell you is that some of the papers we have published in the last couple of years in different conferences, like the Design Modeling Symposium in Berlin and the ACADIA Conference form the frame of the thesis. One of those papers was for example entitled Sense and Advanced Sensibility which dealt with the relationship of sensibilities, obsessions and advanced design techniques, plotting the lineage between the presence of geometric rigor in Baroque architecture, the resulting opulent spatial conditions and the emergent interest for exotic geometric conditions in contemporary architecture. In a way I´m very interested to understand the cultural implications of contemporary architectural desires, and to understand the paradigmatic change in architecture, not only on a fabrication or material level, but also in terms of its impact on the architectural evolution at large. 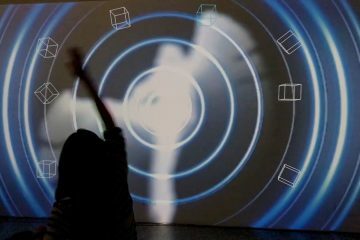 There are indicators that support the thesis that architecture is exploring, with contemporary techniques, ondulating, opulent organizations of matter in space connotated with romantic notions in terms of generating an affect in the observer, or user of the respective design. This Affect is independent of the scale of the project, so the theoretical approach can be used to generate solutions in product design scale as well as building or urban design. 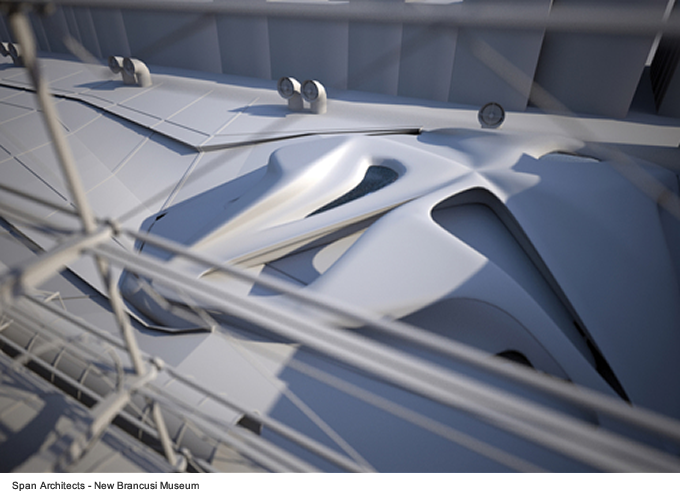 Sabina Barcucci: SPAN Architects recently won the first price for the New Brancusi Museum competition in Paris. The project shares the plot with Beaubourg, one of the most breaking-through architectural icons of the 20th century. When in 2007 Rogers received the “Pritzker Price”, the jury said the Pompidou “revolutionized museums, transforming what had once been elite monuments into popular places of social and cultural exchange, woven into the heart of the city.” How the New Brancusi Museum project is in relation with this special features? 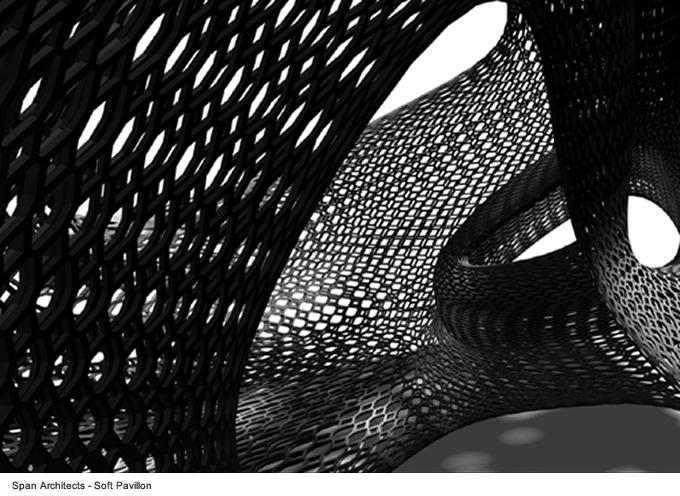 Matias Del Campo: Well, on the one hand our proposal for the New Brancusi Museum deals with the application of Topological surfaces in a continuous spatial condition. We have been exploring the use of Topology in our office for some time, beginning with very abstract models that were dealing with aspects like apertures in complex curved geometries, the design of continuous circulations in buildings, and the structural potential of double curved surfaces. The Brancusi Museum marks a very important milestone in our research as it was our first attempt to fuse a series of elements and ideas into one project. Our decision to participate in the competition was almost a compulsive reaction, as I always have been a great admirer of Brancusis sculptures. The way how the sculptures fill the space with a specific affect generated by the curvilinear nature, the refractions of the material and the chromatic effects generated by varying light conditions always captured my mind. The genetic code of our project is massively influenced by the Beaubourg site, the position on the plaza, the height difference between plaza and street, the illumination. 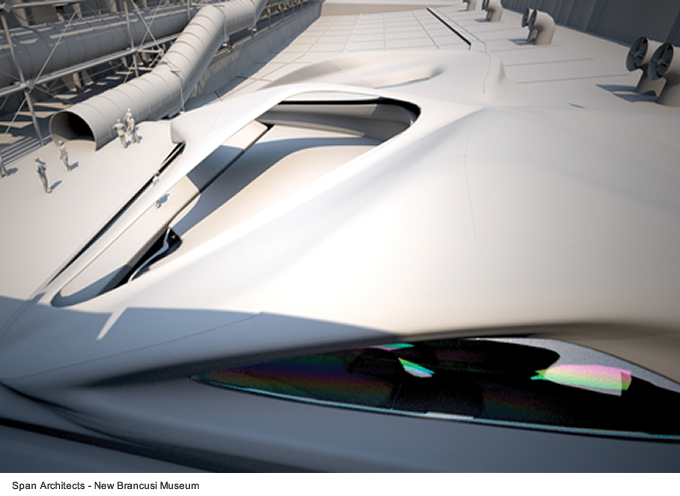 All this information shaped the topological body of the museum, as much as the desire to create a continuous uninterrupted motion trough the building. 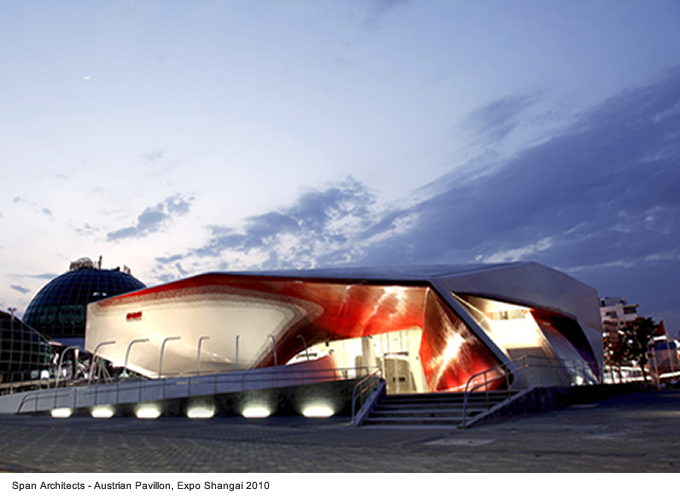 A motiv that actually appeared again in the design of the Austrian Pavilion for the Shanghai Expo 2010. If you consider this you can think of the Brancusi Museum as the Grandfather of the Austria pavilion. While working on the fabrication strategy of the Brancusi museum we figured that there is in fact even a relation to the Renzo Piano designed Centre Pompidou. When Piano designed and built the Pompidou, it was a highlight of contemporary design and fabrication strategies, applying the most forefront technologies to realize the project. The Brancusi Museum does behave in a similar fashion as on how to apply contemporary ideas on spatial solutions as well as up to date fabrication strategies. The two buildings side by side would have been a beautiful representation as of how much architecture has evolved in forty years. Sabina Barcucci: Su “Abitare 508” has recently been published a conversation between you and Wolf D. Prix about the New Brancusi Museum. The text is really exemplar as it shows a sort of generation gap. Coop Himmel(b)lau has been -and I think somehow it’s still- synonym of avant-garde in architecture and we can easily imagine a similar conversation between a young Prix and one of his mentors in the late seventies, with substantial differences. There is a critic that Prix makes to the totally-digital-methodology while quoting Erich Fromm and his mistrust in futurist ardors: “People who use a machine for communicate are driven by a certain kind of ‘desire for death’ , because they can no longer communicate with liveliness”. A suspicious approach from not digital natives toward “digital architects” is an usual issue since over 10 years but in this days the debate is going more far: the world of architecture really moved inside a machine from its inception to its construction and organization. I suspect that the architecture in Prix’s mind is something very different from the architecture in your mind while you are programming software for modeling spaces and flows. Could we say that architecture as a result of a total collaboration between man and machine get a new different meaning? Matias Del Campo: The conversation with Wolf D. Prix was indeed very interesting. Not only because of his, lets say, suspicion versus a complete computational approach on architectural design strategies. There was another very telling moment in this conversation as when he asked me about models. My reply was that we do not build models in our office. What for Prix is a sacrilege is my day to day business. I think that everyone working in our office is so immersed in a three dimensional, computational environment, that we can pretty much imagine every detail of a project. I got so used to the constant rotation and fly trough 3D models on the computer that I cant imagine another medium to be much better for evaluating the architectural qualities of a project. Additionally what we do on the computer is less and less designing per se, but creating a procedure, an array of orders that the computer solves to create a lineage, or evolution of possible solutions to a spatial problem. In this extent I don’t consider the computer a “machine” but an ecology that creates evolutions of possible solutions to specific architectural problems. 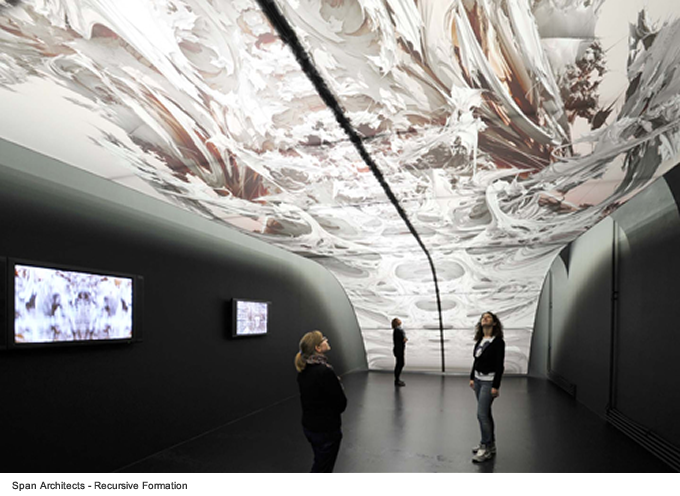 The opportunities to inform this ecology with data from the real environment is one of the most exiting moments in contemporary architecture, It allows us to incorporate intensive conditions, such as weather phenomena, gravitation, solar radiation and so forth which directly influence and inform the design process. Yes, architects troughout history has been keen to intelligently include this information into their designs, the difference today being the manifold and precise information we can use in our design procedures. I will stop here before my obsessions start to carry me away too much, however, be aware that we may have just scratched the surface of the possibilities that computational design techniques offer, for every stage of the architecture design process. I´m really curious for the things that are yet to come.